Whether you’re interested in staying connected with HealthHub® or are looking to buy your healthcare products online, we make it simple. Now you can take your accounts with you in the palm of your hand. See what our mobile app can do for you when you are on the go. HealthHub® Mall connects you to more than 3,000 over-the-counter products including pain relievers, antacids, contact lens solution and much more. Please remember, beginning January 1, 2011, any over-the-counter item that is considered a drug or medicine requires a doctor’s prescription in order to be reimbursable under your pre-tax account. 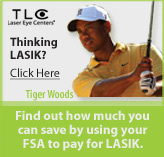 Interested in LASIK vision correction? HealthHub Mall gives you access to quality LASIK providers who accept our PayFlex Card®. You'll also find an array of contact lens brands available for purchase online.